I’m going to write a series of posts concerning the history of story-telling and our problems concerning the ways of knowing. I’ll move from Plato to Medieval Christianity, then to Descartes and the Enlightenment, Nietzsche, then modernism and classic film noir, and finally postmodernism. I only intend to provide a sketch of these issues, so what I’ll say is greatly simplified. The contemporary philosopher Alasdair MacIntyre wrote an influential book a few decades ago that argued for a revived Aristotelian view of humanity and human virtues. In that book, After Virtue, MacIntyre referred to a human being (not inaccurately) as “a story-telling animal.” I think that description captures a lot about the kinds of creatures we are. In any event, in MacIntyre’s characterization of human history, he argues (as I have in previous posts) that for a very long time our mythologies provided the overarching narratives by which we understood ourselves and the world. For a long time, the Homeric epics provided the mythology, and then came Christianity, which told a different but very compelling story. As I discussed in the last post in this series, the Christian mythology left us with a world shrouded in mystery, one we couldn’t really know, but it still provided us with a Big Story, that governing narrative to help us make sense of things. But something quite dramatic happened in the Western world during the scientific revolution and the several centuries that followed. Science came onto the scene in a profound way and replaced mythology. This was rebirth from the mysteries of the Medieval period, an enlightenment following the Dark Ages. We could now, using reason and the senses and scientific method, understand the natural world—a world of which we became increasingly a part. Or, to put it another way, science was the story that rejected story-telling, at least for the purposes of understanding ourselves and the world. The new story that science told was that nature is a completely rule-governed system operating according to necessary mechanical laws. 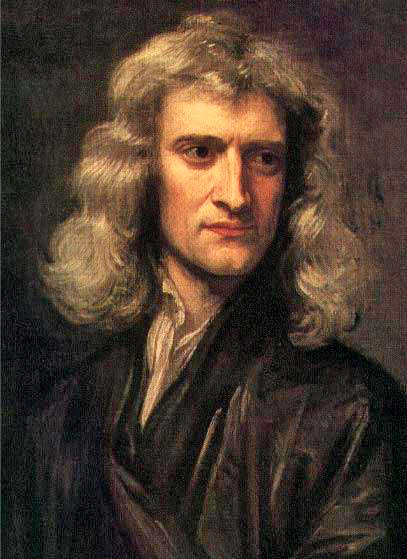 When you put a ball on an inclined plank, it has to roll down, not because of magic or because some mysterious demon moved it; but because of the universal law of gravitation. Further, nature is mathematically describable. That’s key, because it’s the coupling of science with mathematics that gives science its great descriptive and predictive capabilities. Math is the new engine driving science like a freight train. 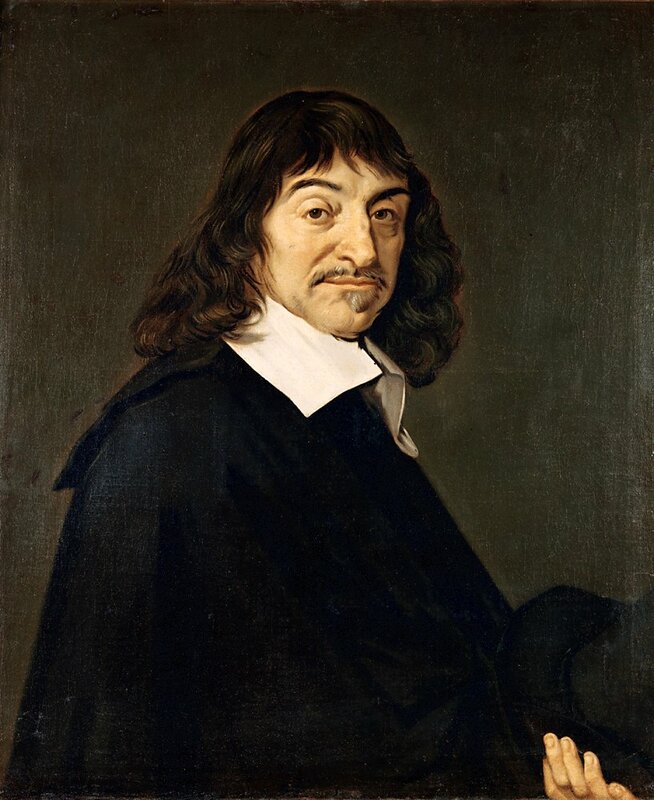 Descartes was a great mathematician and philosopher, and he was committed to the new science, to the picture of nature as a mathematically-describable and law-governed system. But he was also firmly committed to the view that human beings weren’t just a part of nature; we weren’t just animals. He believed we have minds that separated us from nature. Descartes happened upon a groundbreaking discovery. When all else could be called into doubt, one thing was certain. Suppose, he says, there were an evil demon, a being like God, who’s all-powerful and all-knowing, but who’s malicious and who wants to deceive you at every instant of your life. Everything you think you believe, perceive, remember, all that you know about yourself and the world, could be a fiction. So, given that we might be trapped in the matrix or fooled by some malicious god, is there anything left you can trust, anything you can know to be absolutely certain. Yes, there is. The evil demon could make you wonder whether you even exist, but in doubting your own existence, you thereby demonstrate that you do exist: “I think, therefore I am,” says Descartes. I must exist in order to doubt that I exist, but what am I? What is this thing that doubts, wonders, thinks, believes, knows? I am a mind! In other words, says Descartes, I can doubt the existence of my physical body, but I can’t doubt the existence of my mind. Consequently, I am essentially a mind. Further, says Descartes, I can now use this one absolutely certain bit of knowledge as a first principle, a rock-solid foundation upon which to build all my other knowledge. I can construct a complete metaphysics—a comprehensive knowledge of everything, including God—based on this one axiom. So modernity rejects mythology and with it some grand overarching narrative with which to make sense of our lives. This goes hand-in-hand with Descartes’ metaphysics, since in his way of thinking, we become isolated minds (monads—simple, indivisible units) cut off from the rest of nature and the world, and indeed from any kind of Big Story about how things work. Later on, empiricist philosophers like the great David Hume challenged Descartes’ claims to having necessary knowledge about the world. And a century or so after Hume, Nietzsche arrived on the scene, and things got really interesting.